Some ten per cent of the emergency personal involved in liquidating the meltdown at Fukushima Daiichi nuclear power plant 2011 are at risk of thyroid cancer, TEPCO revealed after being forced to reevaluate results of staff medical examinations. The number of those irradiated is 11 times higher than the previous estimates provided by the Tokyo Electric Power Co. to the World Health Organization (WHO) in December last year. The number of those exposed to dangerous level of radiation is now 1,978 compared to the previous number given to WHO that stood at 178, national newspaper Asahi Shimbun reported last week. The figure includes workers that were exposed to at least 100 millisieverts of radiation, a dose that places an individual in heightened risk of cancer. 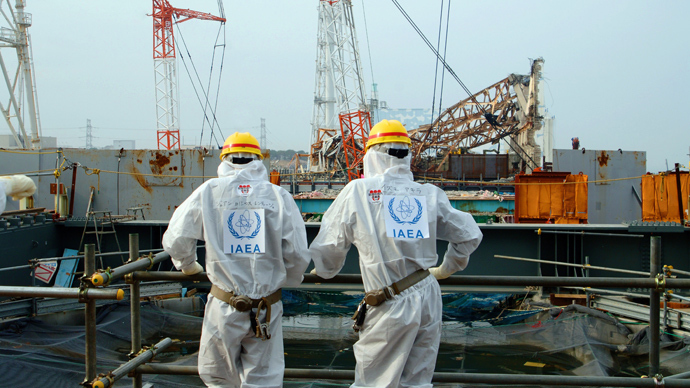 The reexamination of potentially lethal risk from radiation follows pressure by Japan's health ministry as well as the UN Scientific Committee on the Effects of Atomic Radiation to further monitor those that were present at the plant following the tsunami in March 2011. Japanese media reports that most of those exposed, did not have any medical treatment for 28 months, thus jeopardizing their health. TEPCO informed those affected about the health conditions and promised to “provide and pay for annual, ultrasound thyroid gland tests to all workers with thyroid gland doses in excess of 100 millisieverts over their lifetimes,” according to the paper. 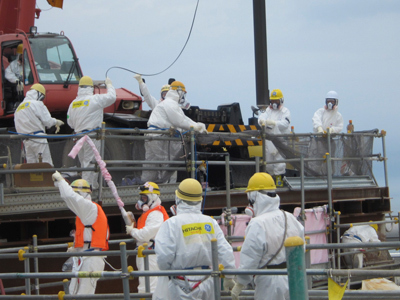 A total of 19,592 were employed at the Fukushima plant following the nuclear disaster including 3,920 TEPKO employees and 16,302 more from partner firms. In December last year, TEPKO examined 522 workers and found that 178 were exposed to radiation as high as 11,800 millisieverts. This finding was submitted to the World Health Organization. 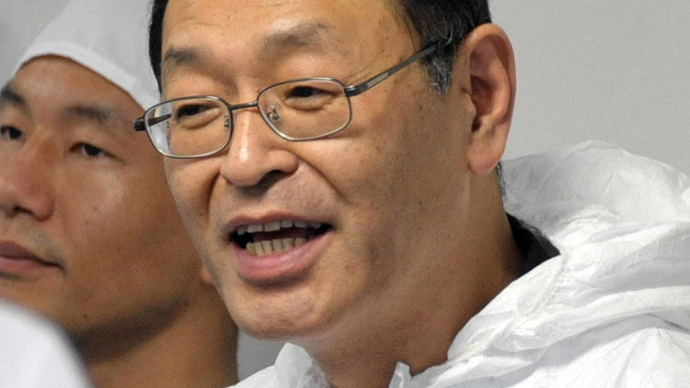 Earlier in July, the General Manager of the plant, Masao Yoshida, 58, died at a Tokyo hospital of esophageal cancer. Doctors have maintained repeatedly that the cancer that killed one of the heroes of Fukushima had nothing to do with exposure to high doses of radiation that he suffered while preventing the world’s worst atomic incident in the quarter of a century since the Chernobyl disaster in 1986. So far no one is officially recorded as having died as a direct result of the radiation released by the disaster. The Fukushima Daiichi plant became one of the world’s worst nuclear disasters after the massive tsunami of March 2011 destroyed its cooling systems. This caused extensive meltdowns in the reactors causing explosions and releasing radioactive materials into the air, sea and soil. Recent poll conducted by the Tokyo Woman’s Christian University, says that most Japanese think that the Fukushima nuclear disaster is still not under control. Some 94 per cent of those surveyed believe that the Fukushima nuclear disaster has not been controlled effectively because radioactive substances were still leaking from the disaster-stricken plant. In terms of trust of information, 33 per cent said that disaster information was the “most untrustworthy”. In addition 54 per cent think that Japan should phase out nuclear power over time. The crippled plant units continue to leak radioactive material into the sea and soil. Earlier in July it was reported that cesium in groundwater soared to 200 times above the safe recommended levels. Earlier, in June, Tepco announced that radioactive strontium levels in groundwater had increased 100 times between December and May. The company also announced that radioactive tritium levels in the sampled sea water had reached the highest recorded level of 2300 becquerels per liter. Furthermore, July samples of fish caught some 100 kilometers away from Fukushima also showed a high dose of radioactive contamination. The sea bass contained 1037 becquerels per kilogram. In early spring, fish caught near the plant read 740,000 becquerels per kilogram of radioactivity. 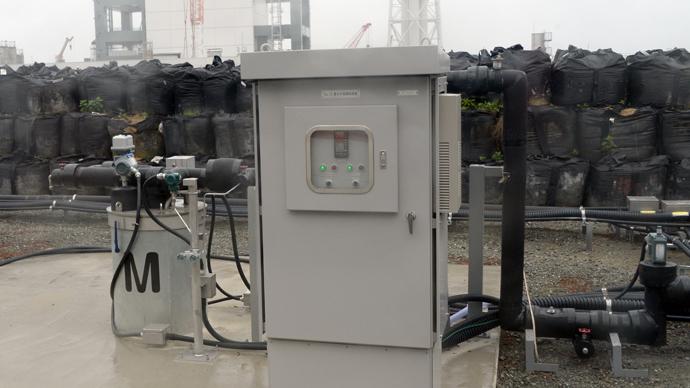 TEPCO uses 400 metric tons of water every day to cool the fuel pools and damaged reactors. 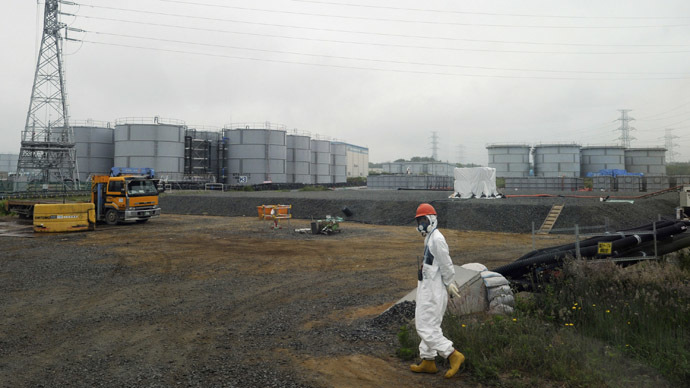 This highly radioactive water is then stored in tanks in the plant, which are also leaking. Meanwhile, the company is reportedly seeking the approval of the Japanese government to dump that water in the ocean.